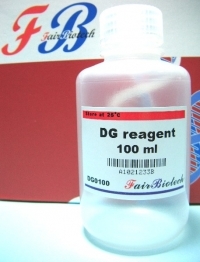 The DG Genomic DNA Isolation Reagent for Tissue, Blood and Cells provides an easy 3-step method to isolate high amounts of total DNA from tissue, cultured animal and bacterial cells, blood and serum. 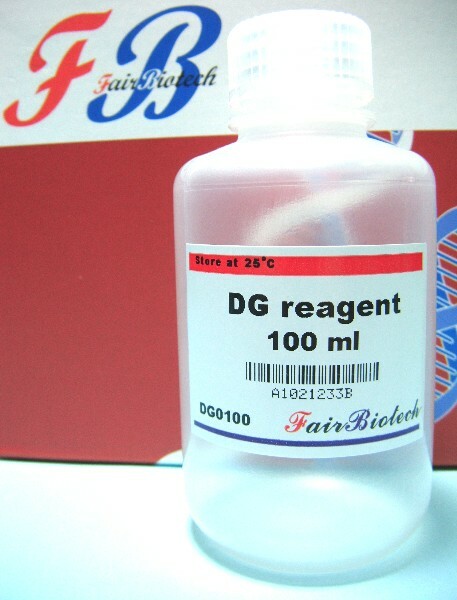 This unique reagent ensures total DNA with good quality from samples of unlimited size. If a large sample is used, the reagent volume can be scaled proportionately, making this reagent not only very user friendly but also highly versatile. DNA phenol extraction is not required and the entire procedure can be completed in 90 minutes. The resulting DNA is ready for use in Southern Blotting, PCR, Real-time PCR, Mapping and RFLP.